nice. thank you for the response. enjoy your weekend. i plan to hit 75 on the SPG side for the holidays so it would be good to know everything works as expected. although i have always wondered what would happen if someone didnt combine accounts and hit 50 and 75 in each account. i guess nothing special would happen post merger, but i was thinking someone out there must have done it to see any extra SNA benefit. Well the credit for my stay at the end of November finally posted on the 21st December. I left it a few days and was expecting to receive an email telling me I had a choice to make however nothing appeared in my mailbox. I guess I will give it a day or two to see if they appear after which I'll have to try and call the dreaded helpdesk and chance my luck on someone knowing what they are doing in order to help me. seems the choice benefits website displays the status that you will be in the coming new year (or at least does not always match what the main website shows status wise). can any existing plat premiers and/or LTPP and then maybe PP with ambassador say what color the avatar and the circle surrounding it is (while on the benefits selection website)? 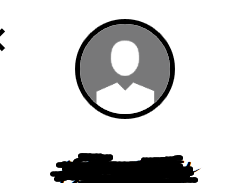 Mine is a different color than the main website and i have no label underneath it telling me what the status is (just a circle with my name under it). Im wondering if I am getting upgraded as a courtesy to Ambassador status in the coming year, the colors are changing for PP / Titanium or who knows, maybe a new status completely. Mine status shows Platinum Premier Elite Lifetime. The main site shows Platinum Elite Lifetime. it's been doing that for a while. Could be simply the PP added to the LT portion (which may only be Plat). Looks like just a different layout. Would not infer anything from what is listed there. As expected my December stay is not posting (LC points booking done long time before ) and this stay would bring me over the 75 nights threshold. What if the stay gets only adjusted after 14th of January (after the time limit to chose the 75 nights gift ) ? I would like to chose the free night and not the SNAs. I hit the 75 nights threshold today, how long do I have to select my Choice Benefit? My last 5 SNA"s earned earlier this year expire end of 2019, If I select my Choice Benefit in 2019 will my next 5 SNA's expire in 2020? I believe you have until the middle of January (14th?) to make your choice and if you don't then SNAs will be chosen for you. Any SNAs chosen for 2018 activity will expire at the end of 2019 regardless when chosen. Today, I was able to select my 75 night gift (wiki updated with list of gifts available). Since I already have 10 SNAs, I chose the free night and it has already been deposited to my account! T&Cs are now posted in the wiki! If you can’t choose before Jan 14, you will most likely get SNAs. Just call CS and ask them to post your missing stay. I did that yesterday and the stay posted immediately. The question is will either account get you LTPP, is that in range for you (nights & years). I would not bet on them manually making it happen after they do the sweep. I'm at 11 years Plat status and almost 800 nights on my SPG account. My Marriott account also shows 350 nights and a bunch of Plat years, but I did not earn the latter. Just matched from SPG status. RogerD408 and Venezuela-Miami like this. but what color is your avatar and circle surrounding it? After logging in to see my choice benefit options I see that my Lifetime status is different to what is within my Marriott profile (it is showing as what I expect it to be). Is this reflecting my new LT status from 2019 onwards?